I love the lyrics in this song. Ricky Martin Debuts New Song and Video for "Come With Me"
Ricky Martin's album Ricky Martin will forever be one of my favorite albums. This new song will have me dancing on my way to work, at the gym and the club. Check out my latest article on which products are out on the market right now where part of the proceeds fund the fight against breast cancer. You can get pretty and help out a great cause! YouTube Chad Hurley shot the Kimye proposal and now with his new video app Mixbit you can watch it in little chunks. This proposal was definitely a production with fireworks, roman candles, a 50 piece orchestra and just drama! I'm sure women everywhere are pinning this proposal to their pinterests boards. The D in Pauly DelVecchio can now stand for "daddy". The Jersey Shore star has revealed he has a baby girl just a few months old. According to TMZ , "the mother is a 26 year old from Jersey"but hooked up with the DJ while in Vegas last year. "The mom has filed court docs in New Jersey to formally establish paternity." The celeb gossip site says they've learned the 33-year old has taken a DNA test and is indeed the father. DelVecchio says he's "very excited" and has "always wanted kids". "I'm proud I'm a father," the reality TV alum, real name Paul DelVecchio, told TMZ. "I am excited to embark on this new part of my life." DelVecchio is the second castmember from the MTV reality show with a baby. Maybe his little girl will become BFFs with Snooki's son, Lorenzo. I'm sure those little ones will be fist-pumpin' and GTL-ing before we know it. Congrats to Pauly D. on his baby girl and for stepping in and being a dad! Blow the whistle! It's official! 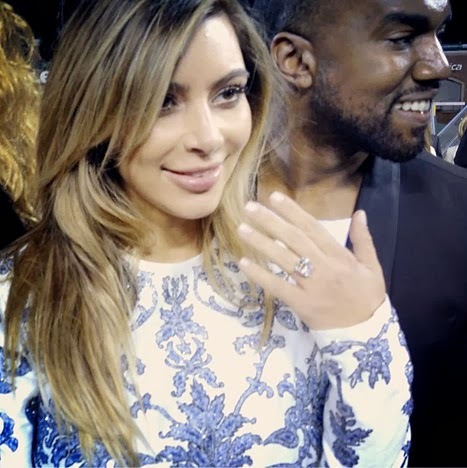 Kanye West has popped the question to girlfriend of over a year, Kim Kardashian. In true Yeezy fashion, he did it in elaborate fashion! He rented out AT&T park in San Francisco, hired a 50-piece orchestra and brought in all of their close friends and family. AT&T park is home to the San Francisco Giants. How'd he actually ask the reality star? 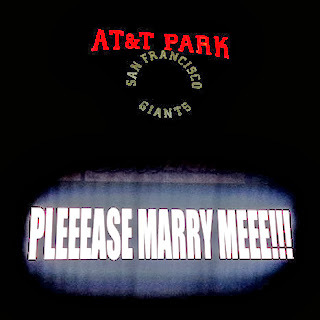 By having the scoreboard read: Pleeease Marry Meee!!! 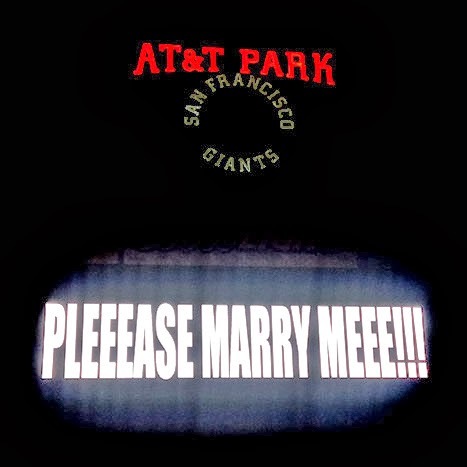 The scoreboard at AT&T park asking the big question! Proposing with a 15-carat diamond sparkler from Lorraine Schwartz. All of this on Kim's 33rd birthday! What a birthday present! 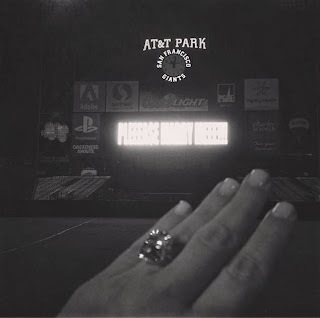 Prior to the proposal, Kanye reportedly asked Momager, Kris Jenner, for permission. We can only wonder what their nuptials will entail. 'Ye is in the Bay for his Yeezus tour. He has back-to-back shows in San Jose and in Oakland. I love that he decided to do this in my backyard! Don't we all need a soldier? The Angel Island Immigration Station Foundation just recently did a short story on my paternal grandfather's journey to America. Watching this means so much to me because it just makes me so proud of my family's story. In case you guys didn't know, the name of my blog ties my heritage to my love of pop-culture. Kaur is a surname and/or middle name given to Sikh girls. Sikhism is a religion founded in the Punjab region of India. Sad to say we saw this one coming, but didn't think it would actually happen. E! confirms with the couple that they are indeed separating after 22 years of marriage. "We are living separately and we are much happier this way," the pair exclusively tell E! News. "But we will always have much love and respect for each other. Even though we are separated, we will always remain best friends and, as always, our family will remain our number one priority." Kris and Bruce are parents to two children together, Kendall and Kylie, and each have four kids from previous marriages. For anybody who watches the show, can tell this marriage was a little rocky. However, just last year the two shutdown rumors of marital problems saying they just laughed them off. This news comes on the heels of Khloe's own issues with Lamar and speculation E! may cancel the show due to tanking ratings. Here's hoping they work it out. I loved She's All That and this song! I still think Freddie Prinze Jr. is hot. Rihanna Debuts Raunchy Video for "Pour It Up"
This video has been a long time coming. In classic RiRi fashion there's a lot of twerkin, dolla dolla bills, pretty girls....and just @$$ shakin'. Just plain raunchy. Her and the back-up dancers put Miley's twerking circus at the VMAs to shame. She's been teasing this video for days via her instagram, and it's finally here! Notice the dollar bills......they have Ri's face on them. However, the blonde wig makes her look like Joseline. Glamorous costumes, hair tossing, and a gorgeous set. Britney did not disappoint in this video. She's actually moving a lot more than in previous music videos when we only say her arms move! This is the best I've seen Britney Jean in a very long time! Of course, there's tons of product placement. This video just makes me want to go back to Vegas!